Over the last week I have been traveling 4 states in 4 days. 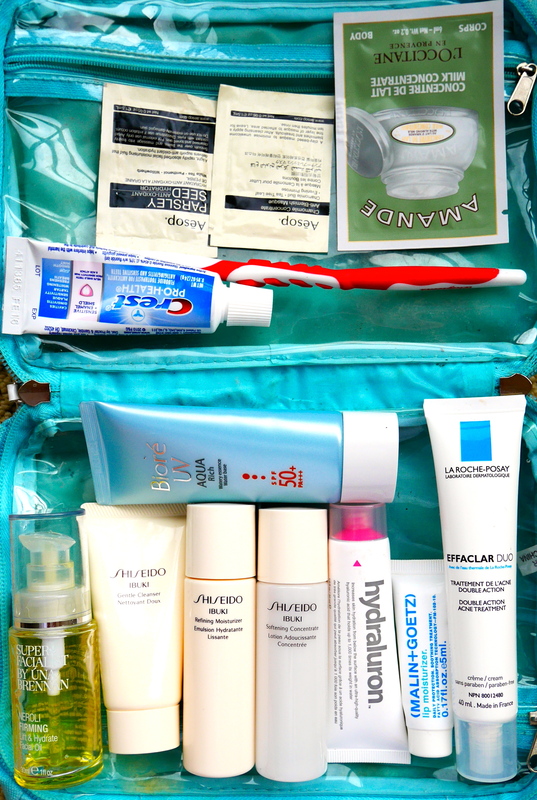 Whilst I don’t have any exciting or glamorous pics to share with you of my travels, I have to say I’m pretty impressed with the skincare I packed. Now you would wonder what’s the big deal?! So allow me to give you a snap shot of my situation and places. I was travelling Louisiana, Mississippi, Alabama and Texas in August summer. HOT & HUMID is a very mild way of expressing the harsh weather conditions. To make matters worse, I had to be in Fire Resistant Clothing which was full sleeves, hard hat and eye protection glasses which translates to sweaty ickiness galore. An extreme combination of all these factors (which personally I’m not use to) I thought by the time I return home my skin will be angry, red, burnt and breaking out all over. However in saying so, I have come back with near perfect, calm skin. 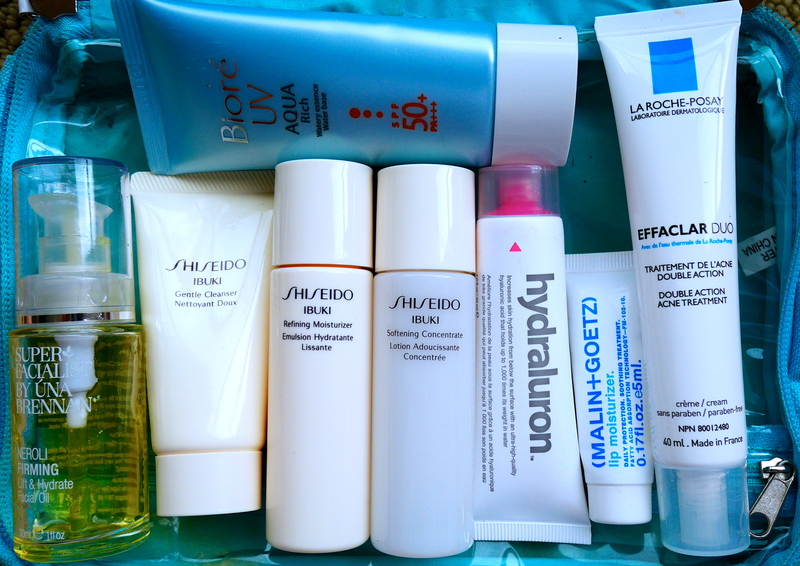 Which brings me to share with you my skincare which comprised of only 8 products! Super Facialist By Una Brennan – Neroli Firming Lift & Hydrate Oil – OK the name does not suggest pre-cleanse but I do use it as my pre-cleanse and does a bang up job at it. Shiseido Ibuki Cleanser – Makeup Remover and general cleansing, did fab job. Generally I avoid foaming cleanser like a plague however this did not strip my skin at all (possibly because it does not contain SLS). Shiseido Ibuki Softening Concentrate – aka Toner in western skincare terms. Instantly hydration boost and skin looked happy, calm and cooperative with the conditions. Shiseido Ibuki Moisturizer – this product was used only at night, as I feared using it during day would be disastrous (hot, humid, sweaty, blocked pores…you know the drill!). As a night moisturizer is replenished and restored the state of my skin. Indeed Labs – Hydraluron – day time hydration weapon! Biore Sunscreen – goes without saying in these weather conditions I needed and kept reapplying subcreen every 2 hours. Due to its water based content, my skin did not suffer at all and did not leave it in a gloopy mess. Minimal makeup was the key. Very light foundation, spot concealing, eyebrows framed, mascara and spf lip balm!